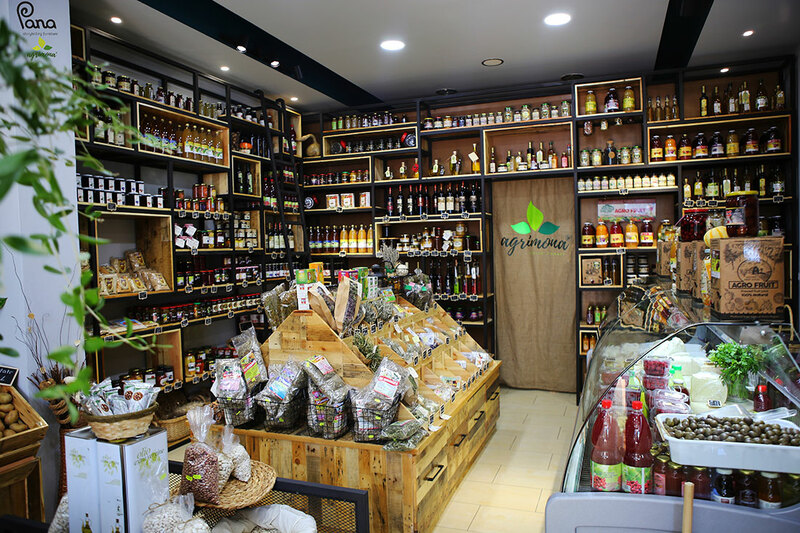 “Agrimona” is a Social enterprise that is willing to sell farmers production from all over Albania, by managing to collect those productions to their shop and make them available to the clients, located in one of the best parts of Tirana. “Agrimona” is a food grocery shop – Commissioned from a young owner Sonila, the main idea was to transform a ordinary shop in to a light, welcoming space, vibrant and fun environment that combined period decorative elements in a coherent, modern and unique way. Materials were chosen for their ability to be ‘up-cycled’ (an important factor for the client, whose ‘green’ credentials are impressive, and “Pana” is a social enterprise that produces only ecological and handmade furniture) almost all the elements inside the interior are up-cycled (wood and metal collected in the landfills of Tirana and Elbasan). The reclaimed wood used (pine, spruce, ash), vintage baskets were utilized to keep the vegetables, and innovative food display stands made mainly with a metallic structure (reused from metal used in old shops from Elbasan city, up cycled to create a new structure according to our drawings). Tough galvanized steel was chosen to create open industrial shelving that would house both dry and fresh foodstuffs. Although the shop featured a double height ceiling with two large windows in the entrance, its situation meant that there was limited natural daylight. Cool grey, green and white walls pale marble flooring and light wooden colors kept the space feeling bright and open. Our aim was to make visitors (customers) of all ages to stay, feel and experience not only foodstuff but even the experience and materials that usually are used in a farm. Today selling is not only about selling a product is about the experience, and that was our main goal in this project.